The management of the Company was taken over by the Attock Group in Pakistan on July 7, 2005 from Government of Pakistan. The investments of the Attock Group in Pakistan have over the past decade achieved phenomenal expansion as a result of which it has not only become the largest stakeholder in the oil and gas sector of the country, but has in fact become one of the largest business groups within the country. 6. And other Companies not listed on stock exchange. 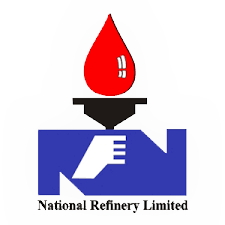 Like all other listed companies, National Refinery Limited is governed by its Memorandum and Articles of Association, Code of Corporate Governance and the Companies Act, 2017. The Board of Directors of the Company has a Chairman and the Company is run under the management of the Chief Executive Officer & Deputy Chairman, aided by Deputy Managing Director (DMD) and an Executive Committee. All functional heads report to the Chief Executive Officer through DMD – an Organization Chart has been put on display separately.